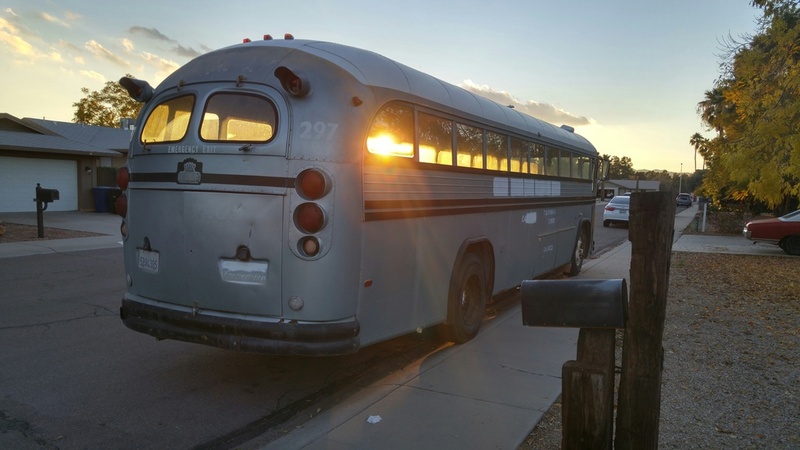 I would like to say hello everyone, I have been reading the forums here for about a while dreaming about finding my bus, packing it up and heading out on the open road. My resolution this year was to travel more, so I finally bit the bullet and did it. The add was pretty short and didn't have much detail but I was interested. I called the owner and asked a few questions but he didn't really want to talk. A couple from San Francisco was flying to Yuma AZ, where the bus was the next day. I said ok but call me back if they pass. The owner didn't quite know what he had, but I did. I figured it was not meant to be and the San Fran couple surely would take it home. Two days later, the owner called back. He said it was a Detroit Diesel and It was mine if I could meet him in Yuma. 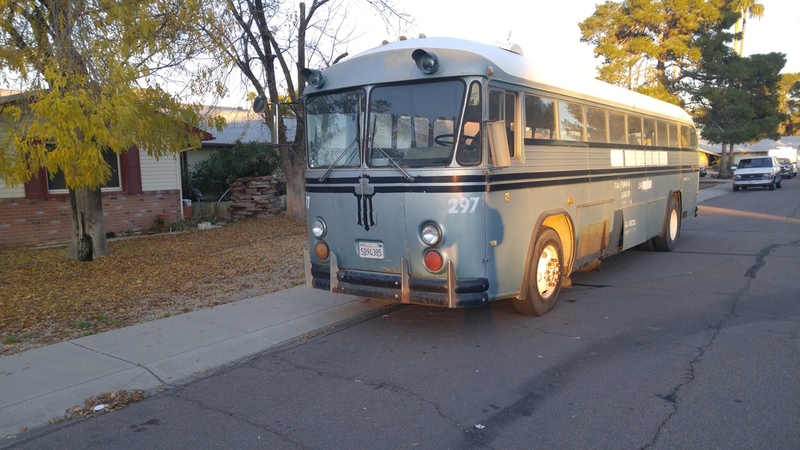 A couple days later, last Saturday, some friends and I drove to Yuma from Phoenix, counted out the cash and I got the keys to my big blue Crown Coach. She is a beautiful all original 1976 Crown Coach Detroit Diesel 5 speed 10 window with seats and all. I wish I could figure out how to post pictures here because I want to show it off!! High mileage. She has been some places. I aired up the tires after sitting for the last 5 years, checked the fluids, practiced driving in the yard it was parked in then hit the road home. WHAT AN ADVENTURE that was lol!! Ill start bugging you all with questions tomorrow, I need a shower. Do you know what is in 40 year old bus seats?! Lol I'm good in the garage, not on the computer! Ok, I followed that very helpful link, thanks for that, so lets give this a shot..
NICE looking bus! But then I am very partial to the CA built buses. Crown was known as the Cadillac of buses for a reason. Given care that bus will still be running down the road long after most of us on this forum are no longer running down the road. 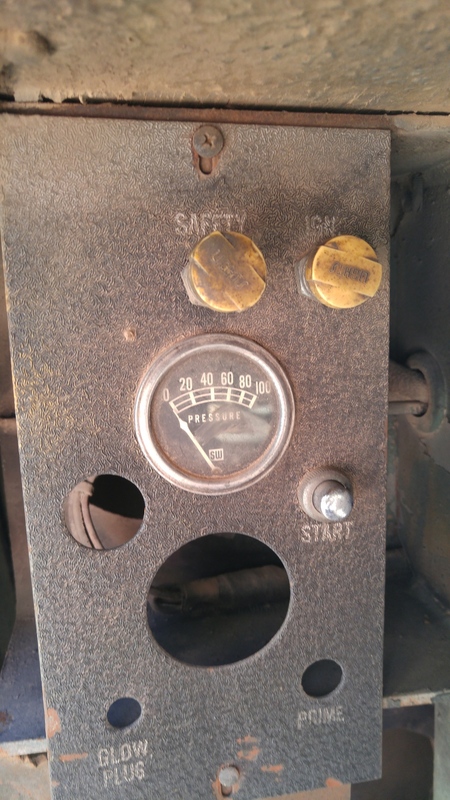 Now that you own a 2-cycle Detroit Diesel I hope if you don't already know about the care and feeding of one you learn fairly quickly about the care and feeding of one. It isn't hard but it is different from any other engine out there. Good luck and keep us posted as to your progress! What a classic beauty! Sweet! 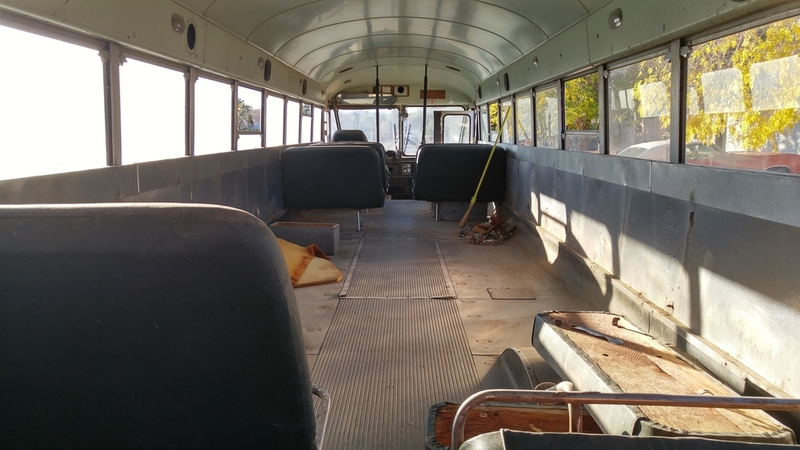 Looks like it's in good shape, body wise, and not school bus yellow is a plus. Here is a view of the inside. I have kept a few of the seats. The first row on each side will stay so the driver has company and passengers can enjoy the view. I am thinking of keeping the very last row in the back and turning one seat on each side backwards to face the rear. I think this would be a good place for large gathering area, with a table in the center for meals, playing cards and just hanging out. This are could also be used as a very large bed if the table was able to be lowered or something so a bed could somehow take its place. Lol yes, I'm glad its not yellow too. I can only imagine the hassle at the dmv if it was still in school uniform. They almost would not let me register it because it had bus numbers on it! No school lettering! Sheesh. So first things first. What is the correct position of these switches for normal operation by key, starting outside and storage? 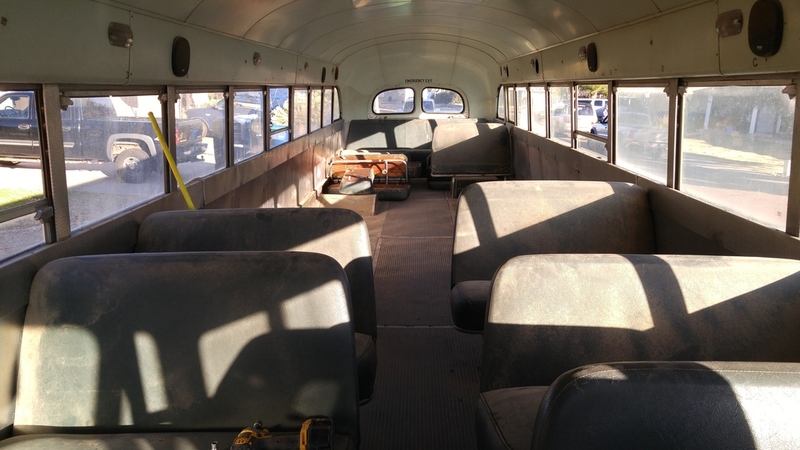 [QUOTE=cowlitzcoach;133072]NICE looking bus! But then I am very partial to the CA built buses. I had done some research before heading down to get it. By feeding do you mean fuel economy or oil consumption? lol Either way it should be Ok. I'm pretty sure the bus will get better mileage than my 2500HD and as for oil, I know enough to check it every day Haha. 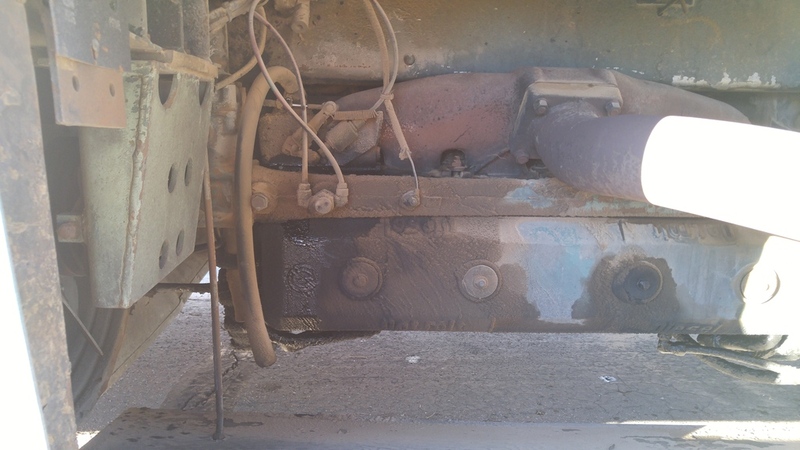 It doesn't seem to leave spots on the ground but it does have a small leak somewhere on top near the front of the motor. Is there anything specific I should know? The tag on the engine door says 30wt. I live in AZ and its got a lot of miles, would 40wt stop a little of the oil usage? Stay with 30wt?